Blocks of rooms at Best Western South Coast Inn have been reserved. The price quoted, $140, is a special group rate for the conference. There is only a limited number of rooms available at this price. Please mention that you are with the Mathematics conference at UCSB at the time of making the reservation. Rate $140+10% tax (Weekends), $125 + 10% tax (weekdays) single or double. (continental breakfast included in the price). about 10-15 minutes from UCSB. Upper State Street downtown location. Near bus stop for the express bus to UCSB. 1601 State Street, Santa Barbara, CA 93101 (800) 669-8979, (805) 966-0807. Ask for the UCSB rate. $85(+ taxes) weekends and $75(+ taxes) weekdays. Airports: Santa Barbara has its own municipal airport, served by major airlines United and American. 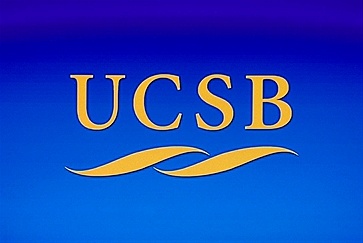 The Santa Barbara airport is close to the UCSB campus and the conference hotel, which also provides complimentary shuttle service from and to the airport. The Los Angeles International Airport is about two hours drive. Directions: From Santa Barbara Airport (SBA): The conference hotel, the South Coast Inn, provides shuttle service from and to the airport. Simply use the airport courtesy phone to call the Inn for pickup. You can also take a taxi. Cab fare should be about $10. If you are renting a car at the airport, turn right as you exit the rental car lot, onto William Moffet Lane. From Los Angeles International Airport (LAX): We recommend the Santa Barbara Airbus, particularly if you must return to LAX for your departing flight. The Airbus is reliable, and offers a reasonable round-trip fare of approximately $70. The nearest Airbus drop-off point to the UCSB campus is 5755 Thornwood Drive, in Goleta; so once you arrive, you'll need to call a cab, or the hotel shuttle for delivery to your local destination. If you are driving from LAX, exit the airport lot at Sepulveda Blvd., and follow Sepulveda Blvd. to the 405 North Freeway entrance. Follow 405 North to 101 North (Ventura Freeway). Remain on the 101 (for approximately one and a half hours) into Santa Barbara. On Campus Parking: If you drive to the campus you may park in designated lots only; look for campus maps which show the pay parking areas. The fee charged for parking is $8.00 per day. You can pay by the pay machines around the parking lots. The conference will be held at the 6th floor of Humanities and Social Sciences building in the the McCune conference room (Room 6020). The building is located in E2 between parking lots 27 and 29. Bruce Tiffney, Dean of the College of Creative Studies. Why are so many matrix properties eventually true? On the determinant of a sum of matrices.